Spune-ti si tu povestea! 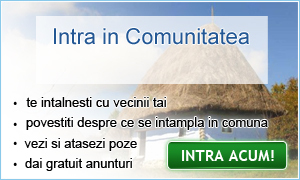 Comunica in fiecare zi cu prietenii si vecinii din comuna Parscoveni - Olt, cu familia si chiar cu autoritatile locale ale comunei Parscoveni - Olt, pe noile pagini dedicate de Ziare.com comunelor din Romania. Vorbeste cu prietenii si vecinii tai din comuna Parscoveni, spune-le sa-si faca si ei conturi. 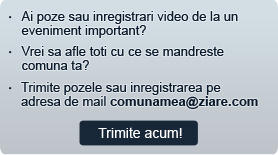 Cu cat va strangeti mai multi, cu atat mai repede vor aparea si alte optiuni noi si interesante pe site. Intra si tu in Comunitatea Parscoveni! Scrie despre tot ce se intampla in comuna Parscoveni - Olt! Comuna Parscoveni - Olt isi cauta Administrator. Poti fii chiar tu! thanks for your input. Your team has created an intenestirg and necessary platform. I am also ecstatic that you are working on fixing the problems that I have noticed.I know that exposing student's data to public is a touchy subject and I am glad that you have implemented the best workaround that I can think of click here to open your blog (as Jenna and Howard highlight in her post although I think the checkbox needs to be more visible). Give the students control over their own privacy.As for the network, most teachers don't see that as important, but as a student (and Jenna or any other students that read this let me know if you agree) I think it is vital. Having easy access to other people is the point of all this isn't it? Social Software would lose all of its meaning if it did not connect people to each other.